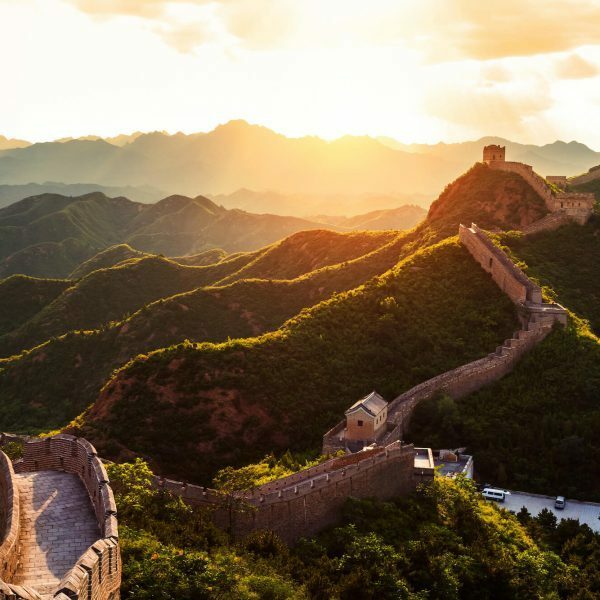 Ranked the World’s Best Airline of 2017 by Skytrax, it is not hard to see why Qatar Airways win this award time and time again. 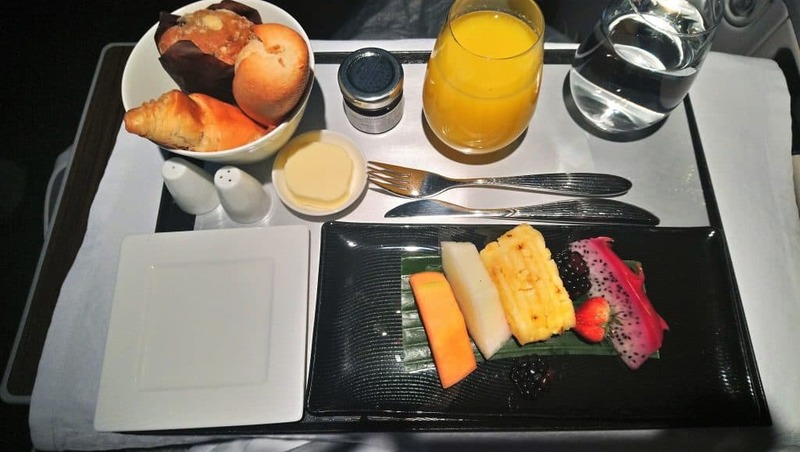 I recently flew indirect with Qatar Airways business class for my trip to Singapore. 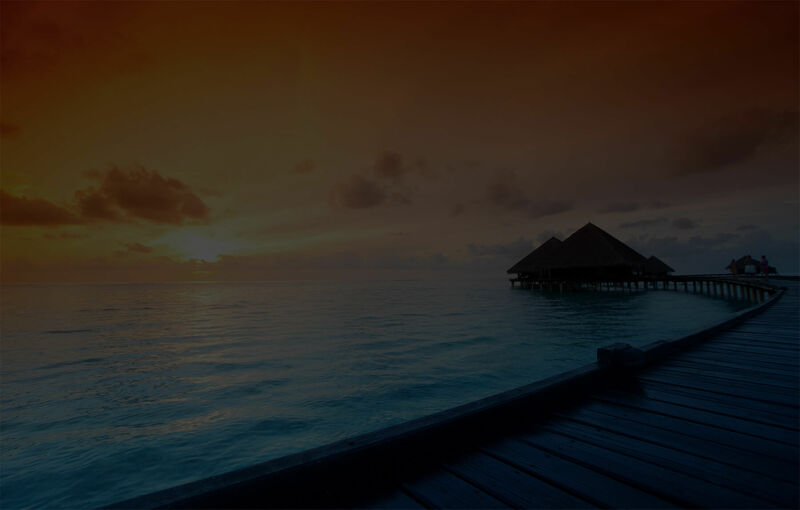 I can honestly say that Qatar Airways exceeded my expectations and provided me with the best service I had ever had. 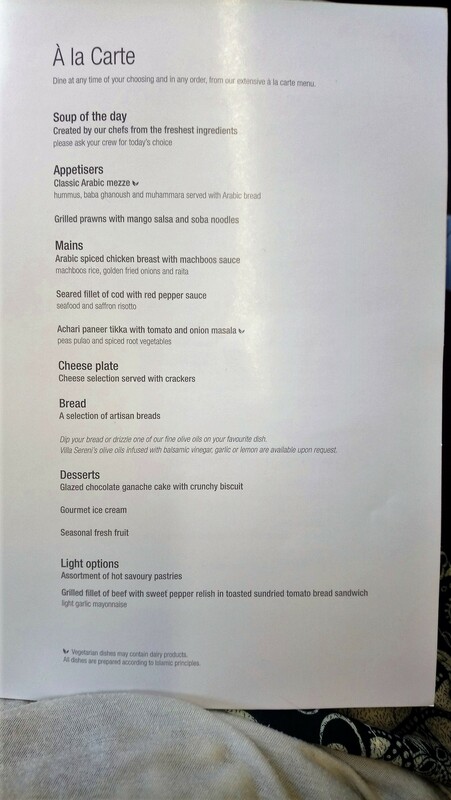 Boarding the plane, I was welcomed by the smiling faces of the Qatar Airways business class cabin crew, along with a choice of Lanson Champagne, soft drinks, fruit juices and water. 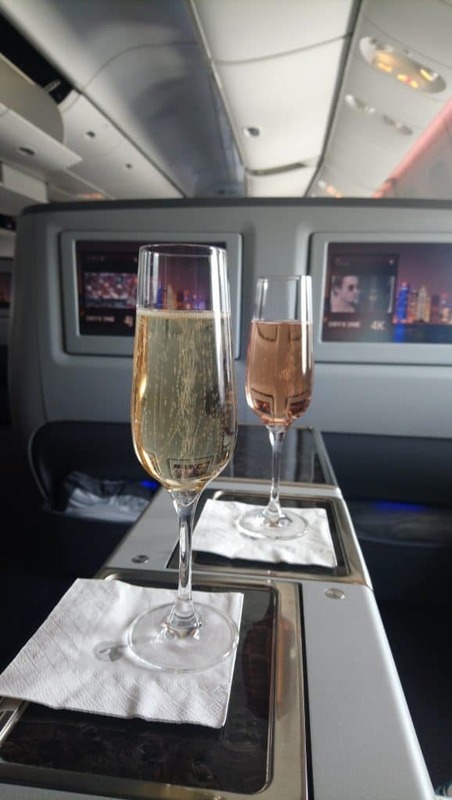 I opted for the Lanson Rose Champagne before departure, and it was chilled to perfection. 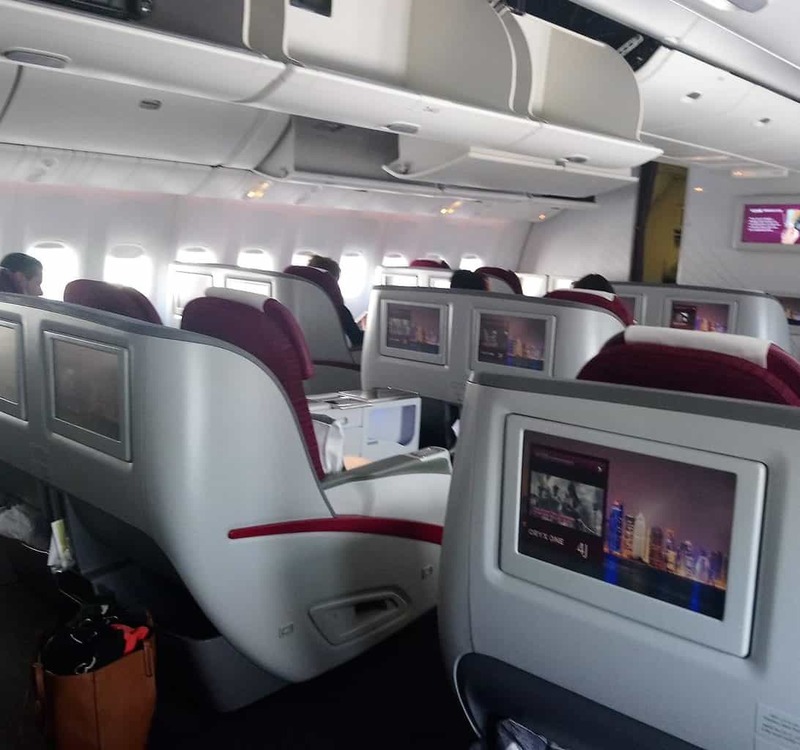 The aircraft itself was an older version being the A330, so it didn’t have the newest Qatar Airways features such as the Q-Suite or the world’s first double bed in business class or the onboard bar that the newer aircraft have. 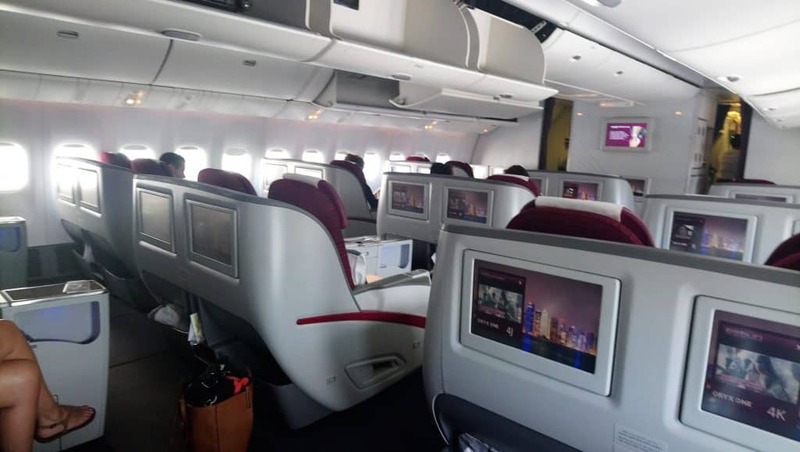 The Qatar Airways business class configuration onboard the A330 is 2-2-2 and featured only two flight cabins, business class and economy. 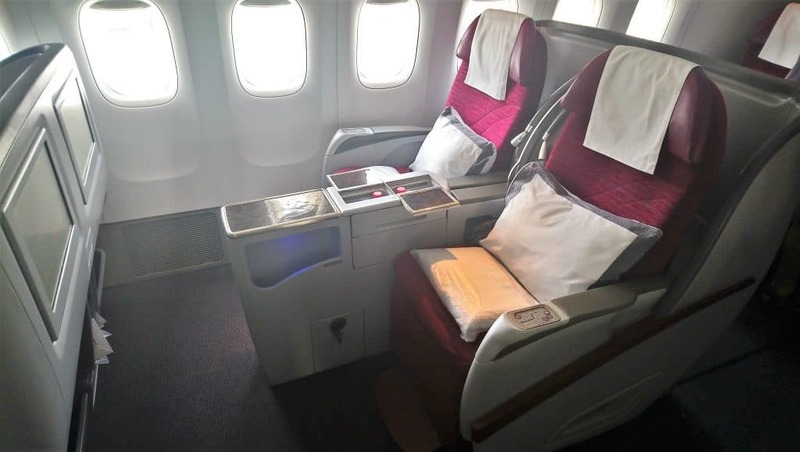 Qatar Airways offer several types of business class on its A330 fleet, the older aircraft featuring older seats (that don’t fully recline) and some featuring the updated business class (with fully-flat beds). This particular flight was flown on the A330 with the older product. The business class seats were still very comfortable and allowed ample leg room in front so you could stretch out. The aircraft featured 30 angle seats in business class with a 165 degree recline. All the seats faced forward and had access to the aisle except those next to the window in which you had a climb over your neighbour’s legs to get to the aisle. 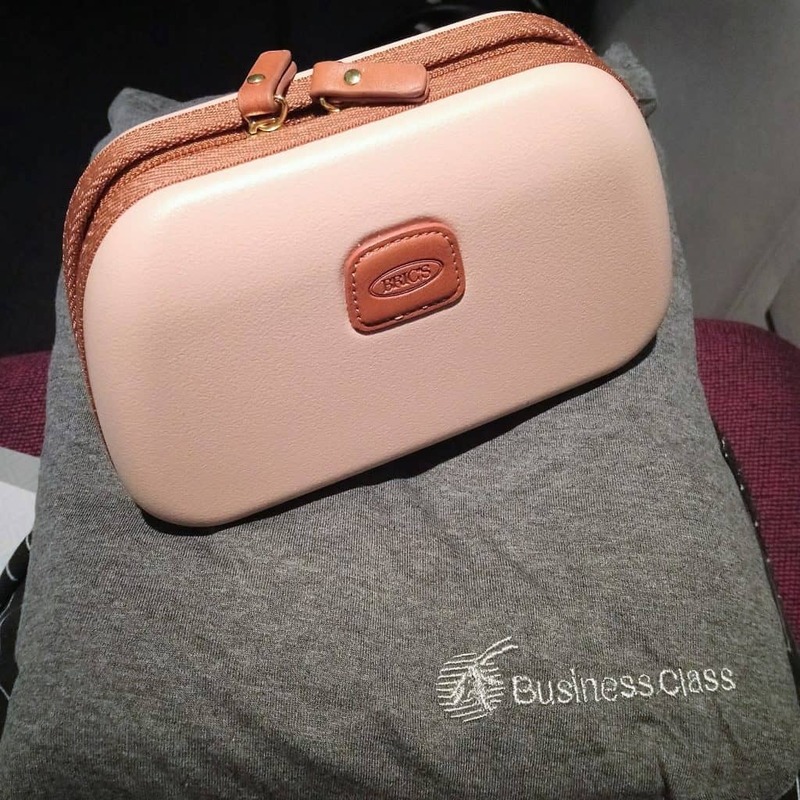 Being a Qatar Airways business class traveller comes with an upgraded amenity kit from BRIC’S. 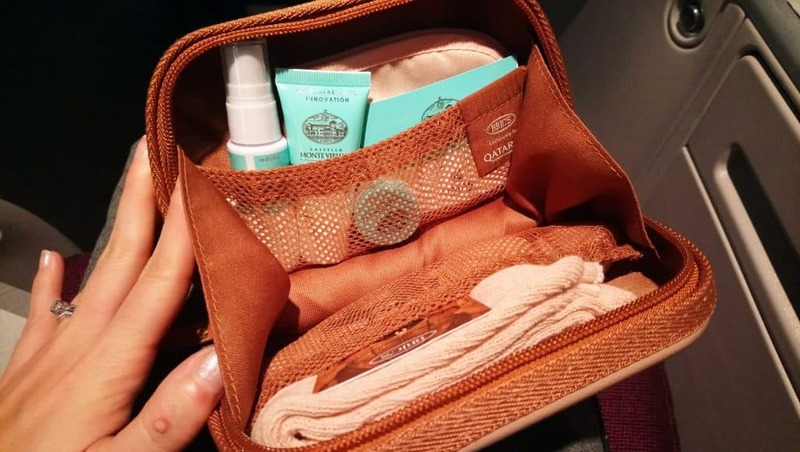 It is filled with luxurious goodies from a body spray to flight socks and an eye mask. Qatar Airways business class travellers also are provided with comfortable pyjamas. 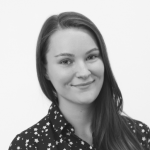 These soft garments keep you warm on the aircraft and enable you to feel comfortable and refreshed when it comes to arriving at your destination where you can change into your everyday clothes. 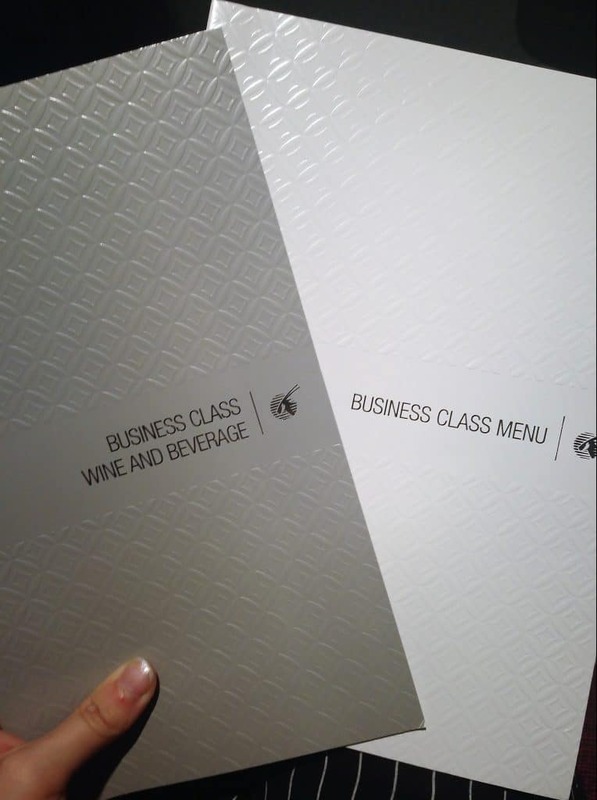 Shortly after departure you are handed a business class food and wine menu. The variety of food and wine was fantastic. 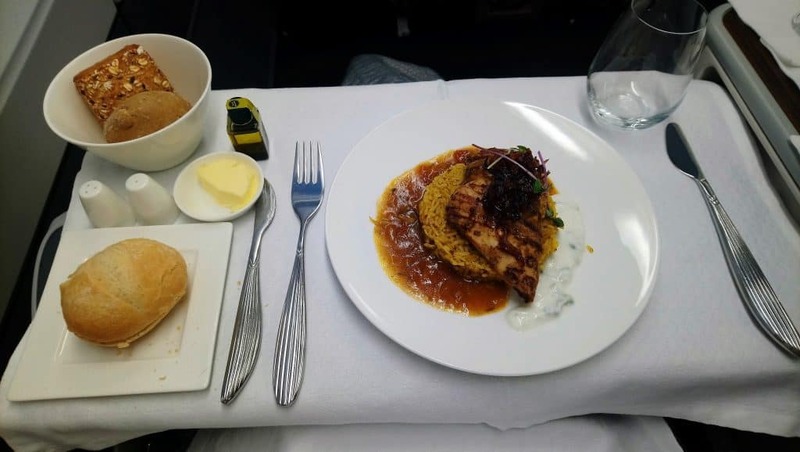 The Qatar Airways business class cabin crew would set your table with linen before bringing out your appetiser followed by your main meal and dessert. 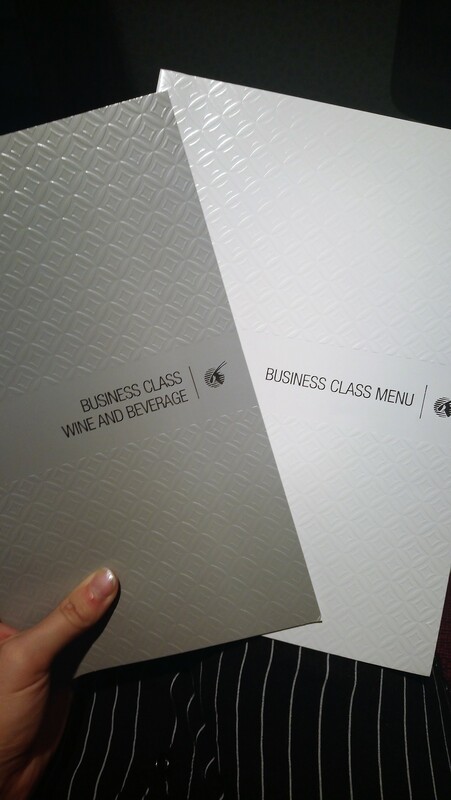 As the Qatar Airways business class menu is a la carte you can choose when you would like to eat and in what order. The food was delicious, a real taste sensation infused with an Arabic flair. 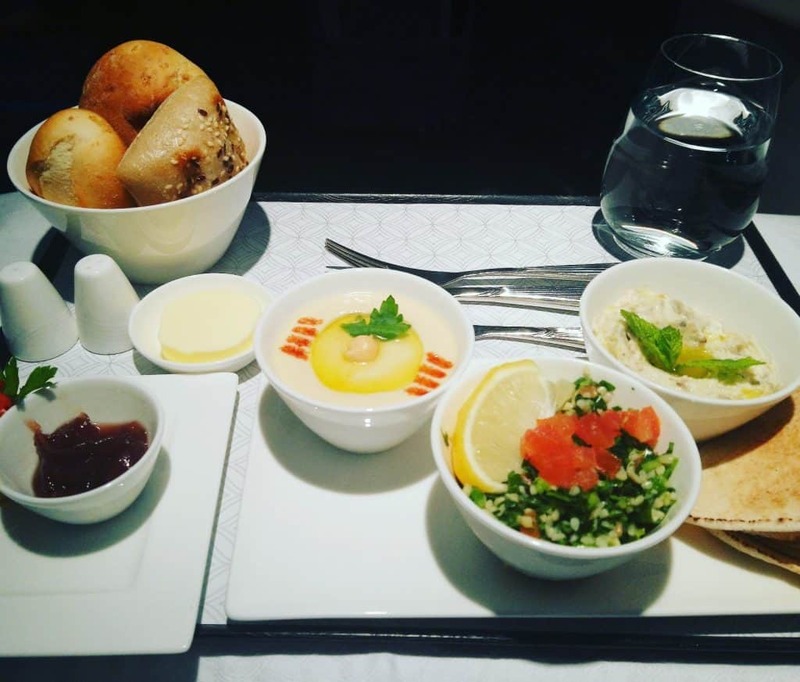 The business class cabin crew are happy to suggest the best accompanying wine to suit your meal to ensure you have a great gastronomic experience onboard Qatar Airways. 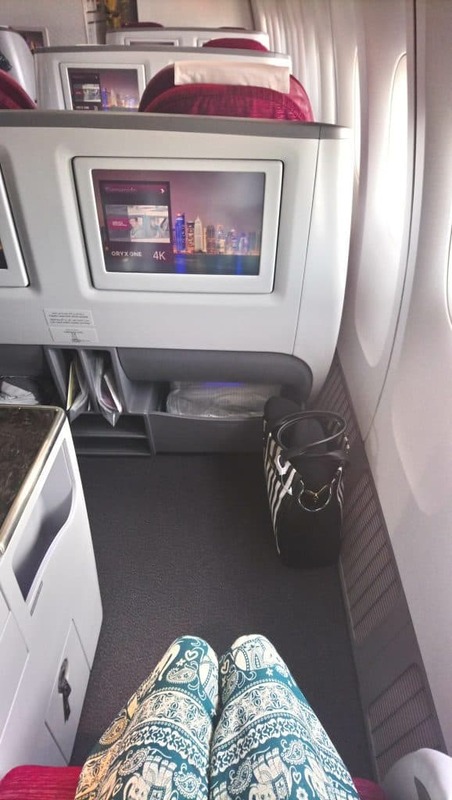 The Qatar Airways business class cabin crew were all very attentive, the service was great at all times. Even with a delay of 4 hours, the cabin crew handled it very well and remained professional under pressure. 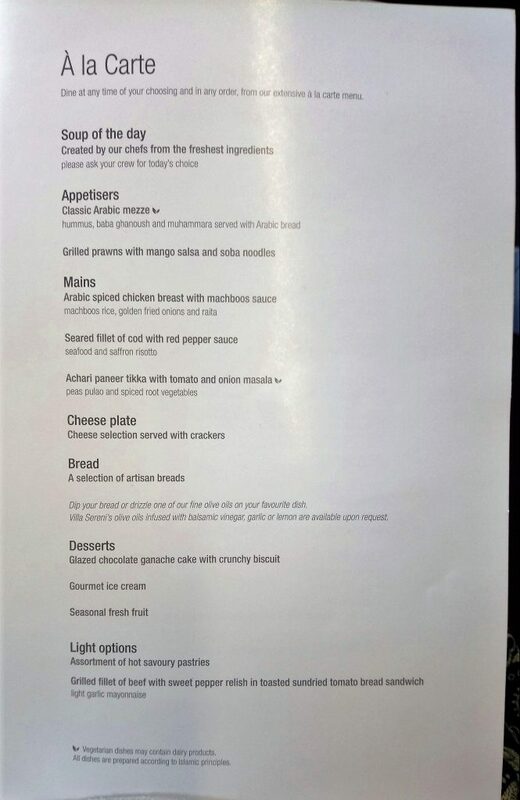 Their main priority was to ensure everyone was comfortable so continued to provide refreshments until all the Champagne was drunk and we were ready to depart. I want to mention as well that even though the delay caused me to miss my connection to Singapore, the Qatar Airways ground staff in Doha were amazing. 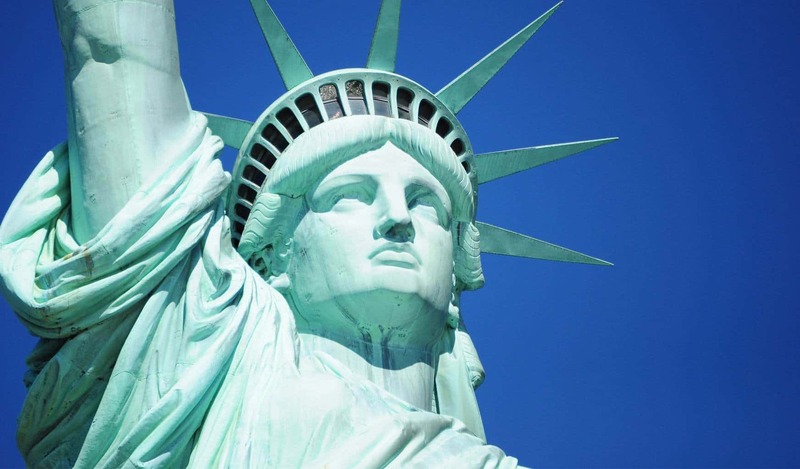 They had already compiled plans for everyone who had missed their connecting flights and escorted everyone as soon as they came through the walkway from the aircraft to the airport. 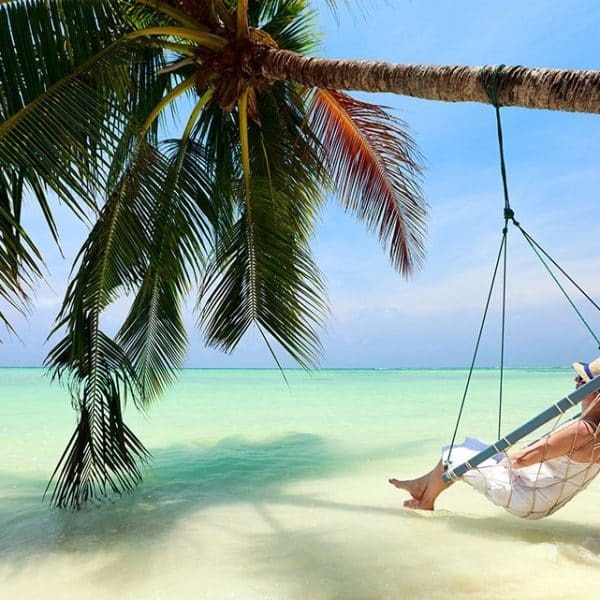 They provided the necessary arrangements for maximum comfort of the passengers whether this was complimentary access to the lounge, food and beverage coupons or even booking passengers into the Airport Transit Hotel. The way the ground staff handled the delay just proves why Qatar Airways are the world’s best, it couldn’t have been handled any better and I was very impressed. 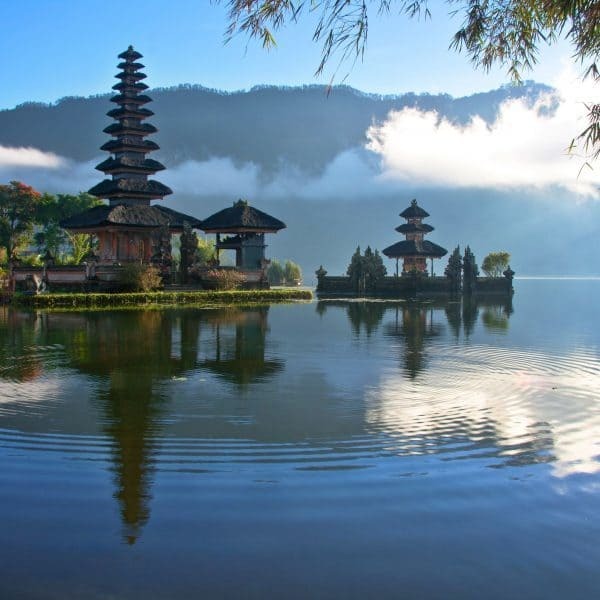 To enquire about flying with Qatar Airways Business Class, please feel free to email enquiries@yourtravelgroup.co.uk or fill in our quote form for one of our friendly team to give you a call back.